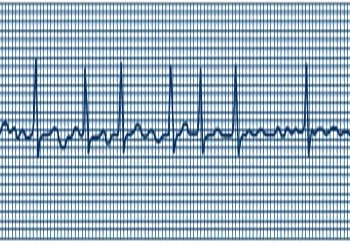 Atrial fibrillation (AF) is the most common irregular heart rhythm, affecting one in four people over the age of 40. While not usually life-threatening on its own, individuals with the condition are at increased risk of stroke and heart failure. AF appears most frequently in older, male individuals with a history of obesity or cardiovascular problems, but some people develop it at a young age and with no obvious heart disease. This type of AF, known as “lone” AF, tends to run in families but is otherwise difficult to diagnose. Previous studies covered by The Blog have linked common genetic variants to AF, but these studies have focused mainly on the typical, later-onset type of AF. Led by Patrick Ellinor and Stefan Kaab, a group of researchers from the United States and Europe investigated the genetic basis for lone AF in a group of about 1,300 people of European ancestry with the condition and more than 12,000 people without AF. Their study, published this week in Nature Genetics, connected the genetic variant with increased risk of lone AF. The variant is located near KCNN3, a gene that codes for an ion channel responsible for controlling the movement of potassium in and out of cells. KCNN3 ion channels in particular are found in “excitable” tissues such as the brain and heart. In mice, abnormalities in the behavior of the KCNN3 gene have been associated with increased blood pressure, but the exact role of KCNN3 in the human heart is unclear. Further research is needed to explore whether KCNN3 may have therapeutic applications for treatment of AF.